Use a pen with red ink to mark corrections and amendments. As a professional, I typically use red and blue ink on proofs. When I don’t have to differentiate between the causes of problems, I always use red. It’s bold and stands out – it is almost impossible to skim over without noticing. If the idea of using red ink gives you horrible flashbacks to your time at school, choose another strong colour. Make sure it won’t be easily missed or hard to read (no silver glitter pens). You may find it useful to use a ruler to guide you as you read line by line. It will help you to focus on the text and you won’t lose your place. Read slowly. Mark your corrections clearly to avoid any confusion later. If you are a student, you should have a style guide supplied by your department or institution. That doesn’t mean it isn’t helpful to supplement it with your own (more limited) list. Keep a record of the style decisions you make and then tidy it up into a neat list. Word endings: ‘ize’ or ‘ise’? Commas: serial or not serial? Dashes: spaced en rules or closed-up em rules? Quote marks: single or double? There will be lots more, and many are not as simple as choosing one option for all circumstances – just make sure your decisions make sense. You should also keep track of words you have hyphenated and any alternative spellings you have chosen. If you are formatting your own work, extend your style sheet by creating a design specification. This should include decisions such as how headings of equal importance should look and what size the margins should be. It may seem like a lot of effort, but a style sheet should help you spot where you have been inconsistent. Spotting inconsistencies is a key part of the proofreading process. If you aren’t sure where to start, there is a sample style sheet available on my Resources page. When you are ready to start proofreading your writing, print it off. You will be surprised by how much easier it is to spot errors on paper than on a screen. Make sure the text is black and that colours are only used when appropriate. (Refer to your style guide if you aren’t sure what is appropriate.) When you mark corrections using a colour pen, the corrections will stand out best against black text and on white paper. Physical distance makes it easier to spot errors in format, style and layout. 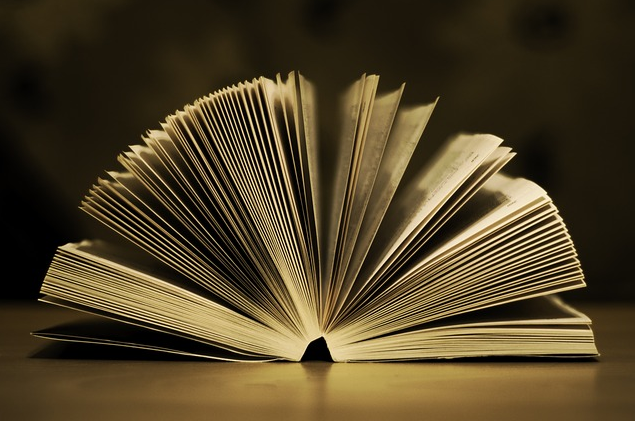 Hold the pages out in front of you, pin or stick them to a board, or ask someone to hold them up for you. Don’t forget to check the pages against each other for any inconsistencies. I’m tinkering with a guide to help students who wish to proofread their own work, and I thought I would share some of the advice on my blog. You’ve finished writing. You’ve made your edits. The next step is to proofread. If it looks like this outside, you know where you should be. Save your work. Put down your pen. Switch off the computer. Take a break. The best thing to do, I think, is to go outside. Take a walk and get some fresh air. If you can’t go out, do something else to take your mind off the work. Bake a cake, knit a small hat, clean the bathroom. Do whatever you like doing to relax. If you have enough time, leave your work for a day or more. This should create distance, and distance should help you spot errors. When your words are not fresh in your mind, you can look at your writing from a different perspective. That’s when it’s time to start proofreading. When I proofread essays, I often find that these two abbreviations are used as if they mean the same thing. They don’t. I.e. is the abbreviation for id est. This means ‘that is (to say)’. Use i.e. when you want to introduce another way of putting what you have already written. E.g. is the abbreviation for exempli gratia. This means ‘for example’. Use e.g. when you want to introduce an illustrative example. I am delighted to be able to say that I am now on Royal Holloway’s register of approved proofreaders! 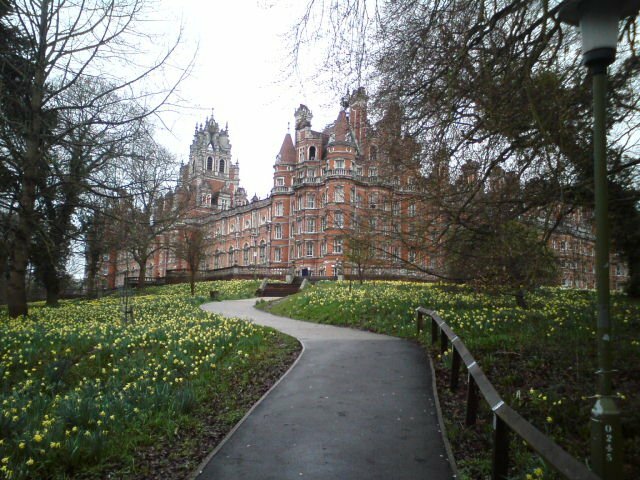 Royal Holloway, University of London (RHUL) is located in Egham, Surrey. I visited the Centre for the Development of Academic Skills on campus at the end of last week. I passed the proofreading assessment, and I have agreed to abide by the proofreading policy that is in place for RHUL students. I was also given training on RHUL’s error identification code. I have very clear boundaries in regard to the proofreading that I do for student clients (these are written into my terms and conditions for students). The guidelines given by RHUL are a little stricter in that they only allow the identification of errors. For RHUL students, these guidelines will take precedence over the services stated in my own terms.